This post is entirely my opinion and not intended as medical advice. It is not to treat, diagnose, cure or prevent any disease, condition, or ailment. Please consult your physician before starting any treatments, conventional or alternative. I admit it, when I first heard about essential oils, I wasn't convinced. Like at all. Even though I was living a more natural lifestyle at the time I heard about them a few years ago, it just all sounded a little too fishy to me. And expensive too! "Our ultimate goal is not to be the largest essential oil company; it is to positively impact the lives of as many people as humanly possible. Ultimately, we feel this is possible only by providing our customers with an exceptional experience that keeps them coming back. By selling such a high quality product at an affordable price, we not only positively affect the lives of our customers, it also gives us the financial means by which we can help those who are less fortunate to live a happier, healthier, and more productive life." The goal at Plant Therapy is to impact as many people as possible. They give to many charities and have a full page on their website of things they have done to bless the lives of others. Plant Therapy teamed up with world renowned aromatherapy expert Robert Tisserand to develop a line of essential oil singles and blends developed especially for children. These oils and blends are recommended for ages 2-10 and do not contain any essential oils that are deemed unsafe for use on children. Our favorite is Calming the Child. I diffuse a few drops in the living area of our house after dinner. It smells wonderful and really helps the tiny humans (and mommy and daddy too!) wind down in the evenings. There is a buzz phrase out there in the essential oil world, known as "Therapeutic Grade". Now, there is NO organization or entity that certifies essential oils. It is a marketing term. Any essential oil company could say that. Plant Therapy only claims that their oils are "100% pure, free from any additives, adulterants or dilutions" as stated on their FAQ page. They use GC/MS (Gas Chromatograph/Mass Spectrometer) tests and organoleptic testing for quality control of their oils. They also use third party testing. Another good quality about the company is also on their FAQ page. I love love love that they are cautious when it comes to oils and do not endorse the use of oils internally. According to their FAQ page, if you do so chose to take them internally, they recommend doing so with caution and with someone QUALIFIED in the area. I have seen many scary recommendations online, probably from well meaning people, but dangerous nonetheless. Just because oils are "natural", that doesn't mean we shouldn't use them with caution and knowledge. They also have aromatherapists you can email with questions as well! Plant Therapy is so confident in their oils, they offer a 90 day 100% money back guarantee. They have very fast free shipping and free return shipping on any item you are sending back. Plant Therapy was founded wanting to offer affordable and quality essential oils. And I think they meet that mark. This is big for me as a SAHM on a budget. I know I can buy these for our family, that they are of great quality, and they aren't going to break the bank. 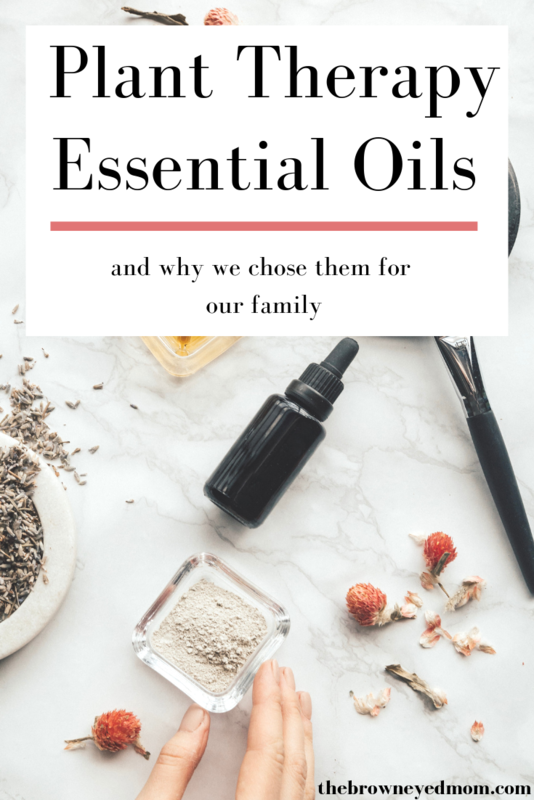 Are you unsure of how to get started with essential oils? You need to go check out the Herbs & Essential Oils Super Bundle from Ultimate Bundles. It includes 22 eBooks, 4 ecourses, 6 printable packs, & 2 membership sites along with 444 recipes, 184 printables that can help you get started or push you along in your healthy living journey. It is available until May 31, 2019 until it is gone for good, so don’t miss out! Click the banner below to check it out! We have been using Plant Therapy Essential Oils, mostly for diffusing, for over a year now. Would you like to give Plant Therapy a try? Go here to get started!